Yesterday I went out and bought myself a new digital camera, a Canon Powershot SD 790 IS ELPH. Now I'm learning how to use it. My old camera was ancient, then I tried to use Carl's old one that ate up AA batteries. I got a 4 GB SD card and an extra battery. I should be set forever, or at least until they come out with some new way to take pictures. To start, I took some around the house, and even some test video. Here it is. Here's a picture of the living room, then I played with the editing feature that came with the software for the camera. 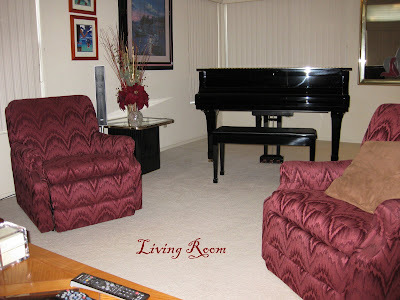 I identified the picture "Living Room" duh. 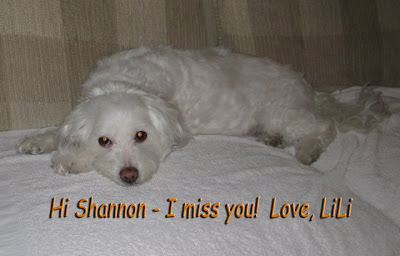 And a picture of Lili, too. AHHH. 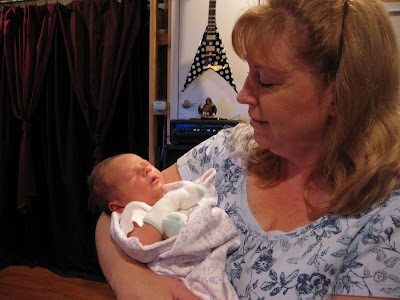 Later in the day I drove down to visit Lacey and her new baby, Dean, and everyone else too. 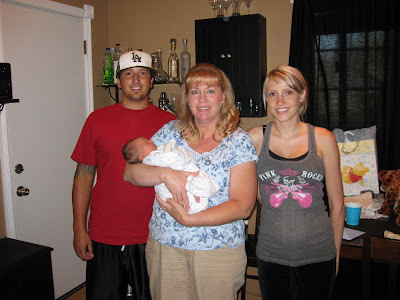 Here are daddy Brandon, Grandma Kathleen, and mommy Lacey, and baby Dean. If you click on any of the pictures, they enlarge. Very cool, you can see all the wrinkles and freckles. 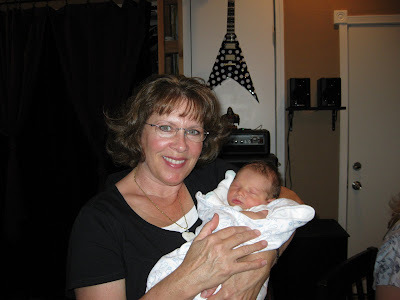 Aunt Kathy and baby Dean. Auntie Kristen is the built-in babysitter. Here is a video (meant to be a picture). Enjoy! looks like you guys had a fun time! 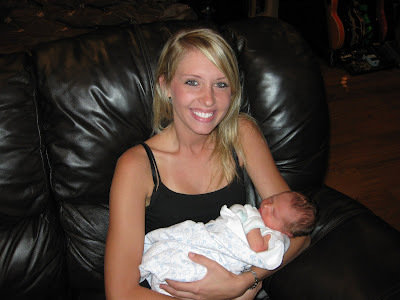 Baby Dean is so sweet looking I wish I could meet him.